Alex Kolacio is not just the co-owner of WSC with Bo, but also the master of detail that helps keep everything and everyone together. 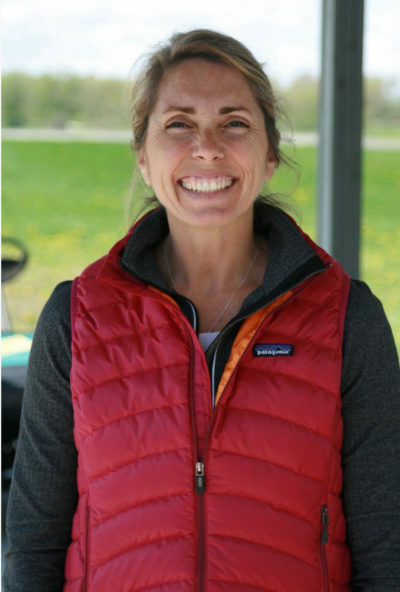 Alex is passionate about her family, the dropzone and the community of skydivers and guests who call WSC home. Learn more about Alex in the interview below. In all honesty, I was never attracted to the sport of skydiving, it had never even been a consideration of “should I” or “shouldn’t I do it”. In September of 1996, I was out to dinner in Milan, Italy, with my then-business partner (Dianna), and an Italian friend of mine (Roberto). 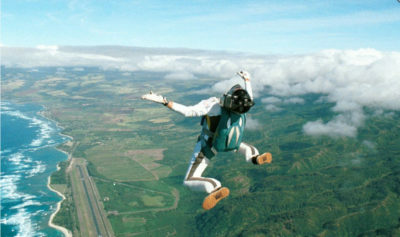 He happened to be in the same line of work as us – and was also a skydiver. Dianna came up with the brilliant idea that I should go skydiving with Roberto the next day. By the end of dinner, both Dianna and I were going to jump the next afternoon! I didn’t sleep a wink that whole night. We had a business meeting the next morning (which was a complete blur), and then Roberto picked us up and whisked us away to his dropzone. To say I was terrified would be an understatement. Fear was never discussed during our (very short) briefing, and I thought I was going to die but was way too cool to bail out. My climb to altitude in the plane just compounded my fear. 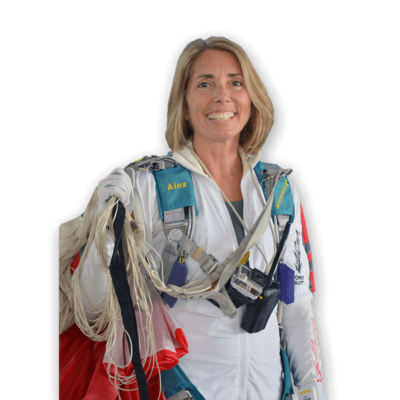 We exited the plane, freefall seemed really loud to me, the parachute opened after what seemed like an eternity, and I still vividly remember the extreme silence – or rather, the disparity between the super-fast rush of freefall and the most serene moment of my life – the parachute ride. By the time I landed, I was full-on hooked and ready to sign on any dotted line they would have presented me with. There was a trip to Madagascar, and I remember thinking I would quickly get back to the US, get certified, and meet my Italian skydiving friends in Madagascar that next spring. What exotic sky adventures! Well, I got back to the US, and life settled back in. I was running a business, winter was fast approaching in Chicago (where I lived at the time), and there was no way I was going to get certified and make it to Madagascar in the spring. I used the next few months to figure out what my next step was going to be. I kept going over that y skydive in my head and remembered that feeling of being more alive than ever and getting butterflies in my stomach every time I thought about it. I knew that I couldn’t just let this go by. That next spring, on a business trip to San Francisco, I took a detour on my way home and stopped in Eloy, Arizona for 10 days. I showed up at Skydive Arizona, pre-paid for all my jumps in order to get my A License, got a hotel room, and DID IT!!! I was once again so scared that I couldn’t eat. I felt really alone in an environment that was completely foreign to me – and most of al, it was completely out of character for me to do something like this. I was a bit of a princess, and pretty much used to the “good life”. My family thought I had gone off the deep end, and most of my friends did as well. But the desire was stronger than anything that I had ever felt before and something in me just needed to do this. I got majorly beat up; broke ribs during one of my jumps, landed on every thorny bush that existed in that desert, sprained an ankle, (desert landings are really fast and I wasn’t very good at controlling my canopy), and had bruises here and there. I didn’t care (again very out of character for me), I just had to finish what I had set out to do. Ten days later, I left Skydive Arizona with my USPA A License, lots of bumps and bruises, but an incredible sense of accomplishment – this was the coolest and most far-out thing I had ever done in my life. I was 29 years old and had finally found my passion! A few weeks later, I met Bo at his skydiving center in Chicago. I was now home and looking for a place in the area to call my home drop zone. This is where my life would really take a turn. In 1998, Bo and I we were invited to go to the Dominican Republic to celebrate the 30th Anniversary of their Air Force. It was a really memorable trip for both of us. We got to see the whole country from a few thousand feet up. We were transported with Huey helicopters from one city to the next, and we would jump into parks, resorts, and whatever else they could come up with. I didn’t have a whole lot of jumps back then (around 150 or so), and had never jumped out of a helicopter before – never mind out of a helicopter into an unknown tight landing area! I managed to hold my own, saw some amazing places, and met some amazing people – a very different world from ours. The helicopter jumps were such “good action” – I felt like I was in a movie. Doors were off, we just sat there, shivering, looking down and out and taking in all the beautiful sights. On one flight, we were literally swooping over the southern coastline – maybe 200 feet above where the sand meets the beautiful sea. It was breathtaking. Things that would be totally illegal to do here in the US were normal for the military of a third world country – skimming treetops and buzzing shanty towns… The food was not good, the accommodations in the barracks were even worse (had a hot shower once, and some days there was no water in the showers at all, nor the barracks where we were staying in). Many times in our lives, we realize after the fact that something was really great. I remember saying to myself every single day: “pay attention, days like this don’t come around very often – you are having the time of your life – take it all in!” Indeed it was a great time, a wonderful experience, and climaxed on our last two days – when the Venezuelan Air Force brought in their C-130 Hercules (a huge 4-engine tailgate cargo plane that fits probably 150 or so jumpers) for us to jump out of. That doesn’t happen in most skydiver’s lives, and that was the icing on the cake for us on that trip. We made a few jumps out of that plane and the last jump was a demo into the final party for the Air Force Anniversary and we had dinner with the President of the DR.
Another really memorable skydiving experience for me was participating in the Jump For The Cause, the Women’s World Record in Perris Valley, California. Once again, it was not easy – there were some trying moments, lots of learning, sometimes feeling out of my league. But amazing “action”, excellent camaraderie, and we did it! We were in a formation of 7 airplanes, I got a really cool slot – I was trail right plane and front float – so I would get to climb out super early, creep forward aft of the door and watch from an amazing vantage point as all the planes dropped their jumpers and we would drop as well. To see that many people in the sky all at once (most of us wearing pink jumpsuits), was incredible! I remember the confusion on the first jump as to where I should go – how was I ever going to pull this one off!?!? By jump two, it was like we had all done it not once, but 10 times before. It started coming together. On jump 13, we accomplished what we had set out to do – the largest all-female formation to date! 181 women from 31 countries. It was a very powerful experience for me. I raised a whole lot of money for breast cancer research, and the support from home was incredible! I came from a small drop zone into the “big time”. I jumped from high altitude, with supplemental oxygen (in the “good action” category), in a plane formation of 7 planes (1 CASA, and 6 Supper Otters – again, more “good action”). It was with a group of really great women from all over the world, whom I had never met before. And we were all doing something really special and worked towards a common goal – all of us doing OUR PERSONAL BEST. What more can you ask for?!? We have a very good friend on Maui – Russ Rosen. He operates with integrity, is able to say no to people without being angry, and is able to make space for himself and his needs while not violating anybody else’s needs. He makes everyone around him feel special. He has also raised two great daughters and is in a happy relationship. He is a very happy human being and when I grow up, I want to be just like him! 5. Of the places you have visited – which is your favorite, and why? There are so many places I love. My favorite city in the whole world is Venice (Italy). I have had the opportunity to explore it in-depth and the feeling I get there is like no other city in the world. You can walk and walk and walk for hours and explore and feel like you are in a different era – even though there are all the modern conveniences. Something in Venice just takes you back a few hundred years. And – need I mention the food? Wow, have we had some really good meals in Venice! My favorite sea is the Adriatic. Growing up, we had a sailboat there and spent a good part of summer, sailing up and down the Dalmatian Coast (Croatia). The smell of the dry pine needles, the sounds of the cicadas in the trees, the color of the water, the clarity of the water – it seems like it is only a few feet deep, but in reality is 100 feet deep. The colors of nature, the architecture, the sky, the rocks – it is a really beautiful place and has a special spot in my heart. I also love love love the white powdery sand of the beach on Anna Maria Island in Florida – we spend some time down there in the winter with my family,. I also take our kids down there for a couple of weeks in the summertime. 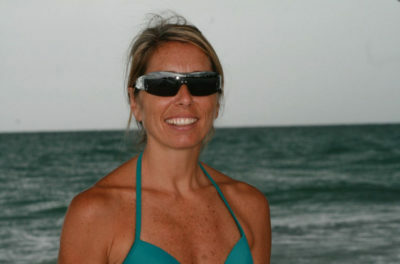 It is unspoiled Florida and warms my heart when I think of that place. Favorite place to go and “loiter” … Lanaii, Hawaii – the Four Seasons Hotel. I think I could be happy there for a month at a time. I love the real estate market. My quiet time is spent keeping an eye on residential real estate. I am a bit of a “rain man” in that department. I can tell you every house that is for sale within a 30-mile radius – how long it has been on the market, the pricing history, taxes on the property, any interesting tidbits on the property, and when it does sell, I can tell you how much it sold for. I love to take long walks on the beach. I love to lay in the sun on the beach and swim in the warm sea. 7. What is something few people know about you? I am an introvert. As much as I love our dropzone and all the people that make it what it is, as “friendly” as I might appear to be – I need my space and my “castle”. I love my home and my peace and not having music on, no one talking to me, just quiet. I don’t get that a whole lot these days as we have three small children, but I do crave peace and silence at times. I don’t have a bucket list. It’s kind of a new concept for me. I had never heard about it until that movie came out a few years ago and we had two incredible ladies (whom we now refer to as Bucket List #1 – Anna Mae and #2 – Esther) come and skydive with us. Maybe I’m in denial, but it seems to be a distant thing for me. I just live each day and don’t really think about dying. I don’t plan so much for the future, just live to the fullest – although sometimes I do get caught up in persistent reality and forget how great my life really is! I own and run Wisconsin Skydiving Center with Bo. I think I’m pretty fortunate to be able to do for work what many people do on their days off. We are in the business of making people happy. We are surrounded by happy people all day long – I don’t know what other jobs could ever afford me that. 1. To raise three happy children and instill in them a sense of personal responsibility and vigor for life. 2. To be more like our friend Russ Rosen.